Is any kind of store more important to a writer than bookstores? That’s why this series on bookstores we love. Today I’m proud to present a guest post by by friend and fellow Tucson writer, Venetia Lewis, who extols a California bookstore, Dutton’s Books. Take it away, Venetia. Two cradles of well-loved paperbacks flanked the entrance to a small, brown, converted bungalow near the corner of Laurel Canyon and Magnolia Boulevard in North Hollywood, California. Passersby may have been tempted by the aromas wafting from the Popeye’s Chicken & Biscuit restaurant next door, but the paperbacks enticed the loyal booklovers who streamed through the door of Dutton’s Books & Prints. Inside, Dutton’s was redolent with its own smell – the mustiness of old books that overwhelmed the bookcases narrowly spaced throughout the store’s two or three rooms. Although available for purchase, the new, glossy, unread books never outsold the older, tried and true volumes. Over the hill in Los Angeles’s pricey Brentwood area was a second Dutton’s location. Set in a modern, U-shaped building with a front courtyard, the bookstore’s floors were polished, the bookcases barren of character, the books set neatly and orderly on the shelves. All the posh and none of the spice. A lovely store, the second Dutton’s failed to win my heart. When my sister and I moved to California from Texas, we shared an apartment for a time; it was around the corner from Dutton’s in North Hollywood. As both of us are booklovers, when we adopted two tiny, little kittens, we named them after bookstores then in operation – B. Dalton Bookseller and Dutton’s. 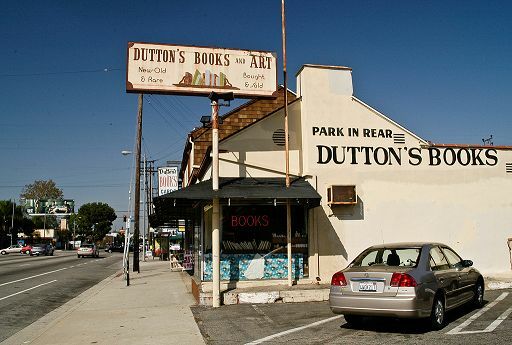 Dalton was a grey tabby, but Dutton was brown – the same brown as the exterior of Dutton’s Books on Laurel Canyon. 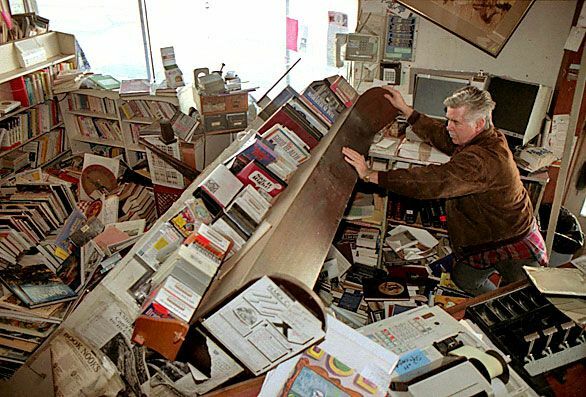 Dave Dutton found chaos at his Dutton’s Books in North Hollywood after the Los Angeles Earthquake of 1994. Unfortunately, Dutton’s book stores and both cats are gone. But those precious memories of browsing through crammed shelves of books with yellowing pages and the purrs and love received from the cats will remain forever. … is a member of the Saguaro Romance Writers in Tucson, Arizona and of the internationally-based Historical Novel Society. 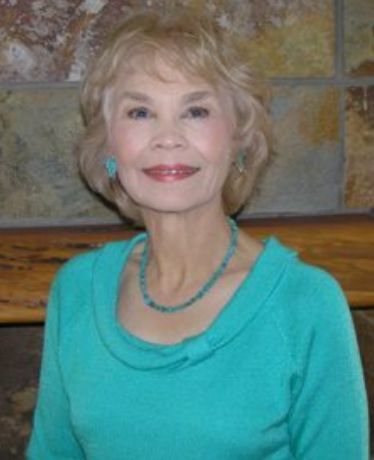 In December 2013, her short story “The Laundress” was awarded Honorable Mention in the Art Affair Annual Literary Contests in Western Short Story. Check out other Bookstores I Love. What about you? What bookstores do you love? Tell us about it in a comment.